You are here: Home / Health / Growing Cannabis Indoors or Outdoors: What’s Ideal for You? Cannabis cultivation can be dated back to more than 12,000 years ago. Over the years, people have grown marijuana both indoors and outdoors, depending on legality and other circumstances. Growing cannabis indoors is preferred because it gives you full control over the plants. However, if you’re lucky enough to choose between indoor and outdoor cultivation, this article is for you. Growing Cannabis Indoors Vs Outdoors: Is there a Difference? Growing cannabis indoors became a fad mainly because of prohibition. But it was indeed a boon since buds grown indoors are better than the ones grown outdoors. As a beginner, you probably can’t tell the difference, but once you recognize that there’s a difference in quality – the resin, terpenes, aroma, and flavor – you’ll begin to appreciate indoor-grown buds more. Growing cannabis indoors is easy. Plus, they are more to outdoor buds. This is because you can control how the plant grows indoors. Growers ensure that their plants have everything required to grow including lights, ventilation, and fertilizers, etc. Fans are set up to reduce heat and some sophisticated growers use humidity and temperature controllers and even CO2 Regulators to help the plants. For people growing in tropical climates especially, it becomes very important to grow indoors because the sun can be extremely harsh and wilt the plants. While growing indoors, however, one doesn’t face such a problem because although the lights are bright and intense enough to aid in the plant’s growth, they aren’t harsh. With environmental conditions set perfectly for the plant to grow, you can expect better THC levels. Just the sight of buds packed with resin should be enough to tell you that the plant was grown indoors. This doesn’t mean that the buds grown outdoors are completely useless. 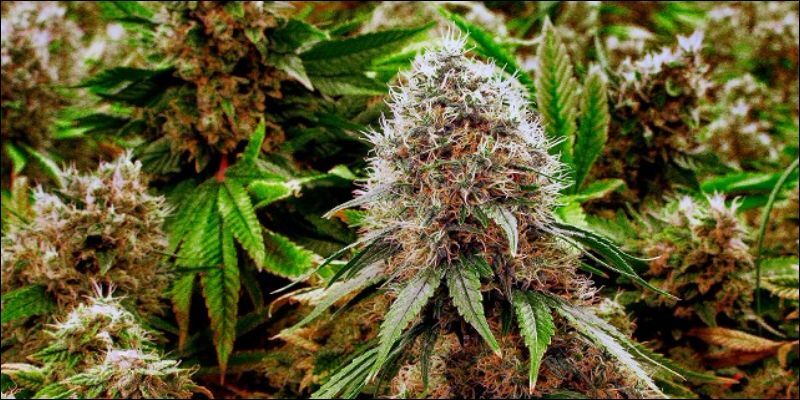 Some people believe in letting Mother Nature do her thing and love sun-kissed marijuana more than anything else. In fact, the plants become hardy after being subjected to stressful conditions outside. However, indoor plants are happier and offer more quality compared to outdoor ones. Outdoors harvests yield more – I’ll tell you that right away. Plants grown outdoors have more room to stretch and grow wild compared to indoor plants where space is a major constraint. To put it simply, you could grow at least 2-3 plants indoors in the space required for one single plant to grow outdoors. As you can imagine, the yield is definitely far more than indoor plants. But, there’s one small issue: You can grow and harvest cannabis plants only 1 – 3 times a year depending on where you live. If growing indoors, however, the plant has all the conditions required to complete its vegetative and flowering phase successfully. The time required to grow and harvest is shorter indoors where the entire cycle is completed within 3-4 months. Autoflowers take even less time and are ready within 2-3 months. You can plan in such a way that you get perpetual harvests by manipulating the light schedule. Sure, outdoor yields are more with just a few plants, but with proper planning, you can make up for that and more indoors. It’s somewhat obvious that it’s inexpensive to grow cannabis outdoors because you only have to spend some money on the soil, fertilizers, and seeds. You grow cannabis plants outdoors like you would any other plant, and the process is simple. With indoor plants, though, you need to invest in a grow tent, lights, seeds, and other fancy equipment. Growing outdoors will be easy on your pocket. But, you’ll have to consider a multitude of factors including time. As a serious cannabis grower – or even as a beginner yearning to be a pro – your focus should be on building a garden that becomes self-sufficient over time. Sure, you can save money by opting to grow outdoors, but if you invest once in an indoor garden, the setup will start paying for itself within just a few months. Growing outdoors or indoors is merely a choice. It depends on what you need the cannabis for. If you want a commercial setup with more focus on quality, growing indoors could be your best bet. But, if you just want to grow 2-3 plants to get a hang of it, you could plant a seed or two outdoors and reap the benefits. With time and experience, you’ll be able to find a method and tweak it to suit your needs.